Debuts 9th Gen Intel® Core™ desktop processors, including the Intel Core i9-9900K processor, the world’s best gaming processor1 , with preorders starting today. NEW YORK, Oct. 8, 2018 – Intel today announced the 9th Gen Intel® Core™ i9-9900K, the world’s best gaming processor1 , and said preorders for the new processor would begin today. The announcement was made as part of a series of new desktop processor introductions that will enable amazing performance and platform features to meet a range of consumer needs from gaming to content creation. New processors introduced today include the first 9th Gen Intel Core processors, new Intel Core X-series processors and the Intel® Xeon® W-3175X processor. The 9th Gen Intel Core i9-9900K is the world’s best processor for gaming1 . It brings an exceptional level of performance to the desktop product line, signified by the first Intel Core i9 brand in the mainstream desktop segment. 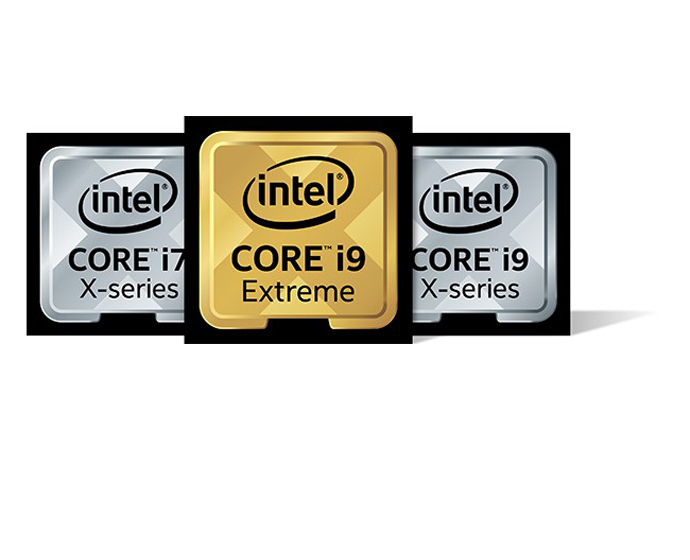 All three of the 9th Gen Intel Core processors unveiled today (i5-9600K, i7-9700K and i9-9900K) enable fast, immersive experience for gamers, with up to 8 cores and 16 threads, up to 5.0 GHz single-core turbo frequency2 , and 16 MB Intel Smart Cache. Enabling more than 220 FPS on three of the most popular global PC game titles4 . With Intel® Turbo Boost Technology 2.0 delivering up to 5.0 GHz single-core frequency, gamers can enjoy their favorite games with up to 10 percent5 more FPS across popular gaming titles compared with the previous generation, as well as up to 37 percent more FPS compared to a 3-year-old PC6 . Capture game play, transcode and stream while playing. With this type of megatasking, gamers can enjoy up to 11 percent7 more FPS compared with the previous generation and up to 41 percent more FPS compared with a 3-year-old PC8 . Video editing improved on Adobe Premiere* – Up to 34 percent9 faster video editing compared with the previous generation and up to 97 percent faster compared with a 3-year-old PC10 . Overall system performance improved up to 15 percent better as compared with previous generation and up to 40 percent as compared with a 3-year-old PC11 . With Intel® Turbo Boost Max Technology 3.0 delivering up to 4.5 GHz12 single-core frequency, the most critical workloads can be directed to the processor’s two fastest cores, optimizing for lightly threaded performance when necessary. This means customers do not have to make a tradeoff between choosing a processor for lightly threaded or heavily threaded workloads. To celebrate the launch of the new 9th Gen Intel Core processors, Intel is hosting the 9th Gen Intel Core i9 Processor Dreamstakes to give away nine unique, once-in-a-lifetime VIP trips to world-class esports and gaming events, including Intel Extreme Masters, the Overwatch League, ESL One and the NBA2K* League. In addition, thousands of digital codes for some of the most popular games will be given away with this sweepstakes. Visit corei9.intel.com to view official rules and enter for a chance to win starting on Nov. 5, 2018. 1 As measured by in-game benchmark mode performance where available, or highest median frames per second (FPS) where benchmark mode is unavailable. PC Gaming Processors Compared: 9th Gen Intel® Core™ i9-9900K, Intel® Core™ i9-9980XE Extreme Edition, and Intel® Core™ i9-9900X X-series; 8th Gen Intel® Core™ i7-8700K and i7-8086K; and AMD Ryzen™ 7 2700X, AMD Ryzen™ Threadripper 2990WX, and AMD Ryzen™ Threadripper 2950X. Prices of compared products may differ. Configurations: Graphics: NVIDIA GeForce GTX 1080 TI, Memory: 4x16GB DDR4 (2666 or 2933 per highest speed of the corresponding processor), Storage: 1TB, OS: Windows* 10 RS4 Build 1803, Samsung 970 Pro SSD. Results: Intel® Core™ i9-9900K scored better on the majority of the 19 game titles tested. The Intel® Core™ i9-9900K scored the same as the Intel® Core™ i7-8700K and the Intel® Core™ i7-8086K on “Middle Earth: Shadow of War,” and scored less than the Intel® Core™ i9-9980XE Extreme Edition on “Rise of the Tomb Raider.” More detail on workloads, test methodology, and configurations available at [http://facts.pt/11u9e2]. Performance results are based on testing by Principled Technologies as of October 4, 2018, and may not reflect all publicly available security updates. See configuration disclosure for details. No product can be absolutely secure. Intel will be marketing the Intel® Core™ i9-9900K with the tag line “Performance Unleashed” in certain jurisdictions, including PRC and Vietnam. Intel will be marketing the Intel® Core™ i9-9900K with the tag line “Intel’s Best Gaming Desktop Processor” in certain jurisdictions, including Argentina, Belarus, Belize, Egypt, El Salvador, Guatemala, Honduras, Italy, Japan, Panama, Peru, Saudi Arabia, and Turkey. If you are media or an influencer from these countries, or otherwise communicating directly to residents in these countries (e.g., on local-language social media), please only refer to the tag line Intel will be using in that country in lieu of the claim on this slide/document. 3 Warning: Altering PC clock or memory frequency and/or voltage may (i) reduce system stability and use life of the system, memory and processor; (ii) cause the processor and other system components to fail; (iii) cause reductions in system performance; (iv) cause additional heat or other damage; and (v) affect system data integrity. Intel assumes no responsibility that the memory, included if used with altered clock frequencies and/or voltages, will be fit for any particular purpose. Check with memory manufacturer for warranty and additional details. 4 9th Gen Intel® Core™ i9-9900K processor achieved up to 309 FPS on Rainbow Six: Siege; up to 224 FPS on Fortnite; up to 440 FPS on Counter-Strike: Global Offensive; and up to 221 FPS on PlayerUnknown Battlegrounds. Performance results are based on testing by Principled Technologies as of October 4, 2018, and may not reflect all publicly available security updates. See configuration disclosure for details. No product can be absolutely secure. 12 Refers to the maximum single-core frequency that can be achieved with Intel® Turbo Boost Max Technology 3.0. Intel® Turbo Boost Max Technology 3.0 delivering up to 4.5 GHz single-core turbo frequency on i7-9800X, i9-9900X, i9-9920X, i9-9940X, i9-9960X, and i9-9980XE list. Intel® Turbo Boost Max Technology 3.0 delivers up to 4.2 GHz single-core turbo frequency on the Intel® Core™ X-series i9-9820X.